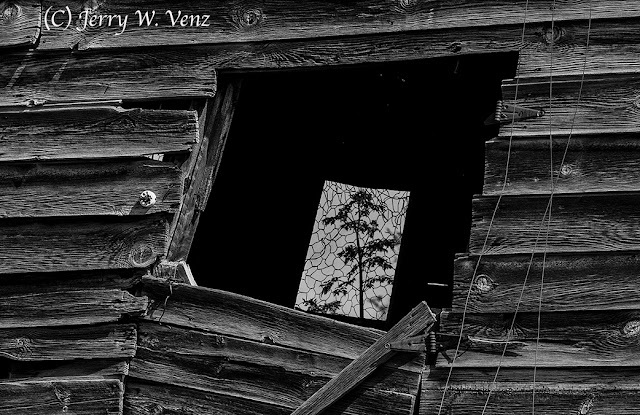 I’ve been doing photography of the barns in Idaho ever since we arrived here in the Treasure Valley (Boise, Idaho area) back in 2009. Creating fine art images of these vanishing beauties has become a passion and a duty especially since development has started again at a break-neck-pace. It will soon be the case that all the barns will be gone near any developed cities here in the Treasure Valley just as happened in California. Where we came from in Silicon Valley (Northern California) there were only a couple barns left that were once surrounded by vast orchards replaced long ago with housing developments and High Tech corporations. This big old barn (circa 1905) in Nampa, Idaho, is an arched roof type barn; one of my favorite types. Since its still got some old paint on it I kept this image in color and zoomed-in on those three marvelous windows. Done this last December on an overcast afternoon the soft light lowered the contrast and kept the white highlights in check. I’ll be returning to this barn soon! NOTE: Don’t forget the “outbuildings”! Most farms have numerous smaller out buildings in addition to a barn. 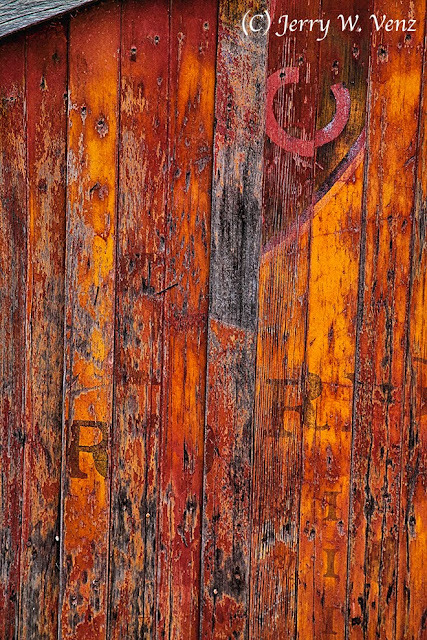 Sometimes the outbuildings are in worse shape than the barn and that condition makes them ideal for detail images! This outbuilding is nearby that barn I just talked about…. This is a chicken coop apparently constructed with reclaimed boards that have weathered nicely. I love the mix of colors, the textures and especially those random imprinted letters! This outbuilding is on a property in Eagle, Idaho, near a barn I’ve been photographing for several years. This old outbuilding is skewed because it’s leaning; it may not be standing much longer. So, naturally it’s become one of my favorite subjects! This structure became an obvious choice for a Black & White conversion since it has no paint left on it. What drew me to this crop (by zooming my lens to create this composition) was that I could see through the building looking out the chicken wire covered smaller window with that large weed giving me a secondary center-of-interest. I like to have layers of interest in my fine art images.